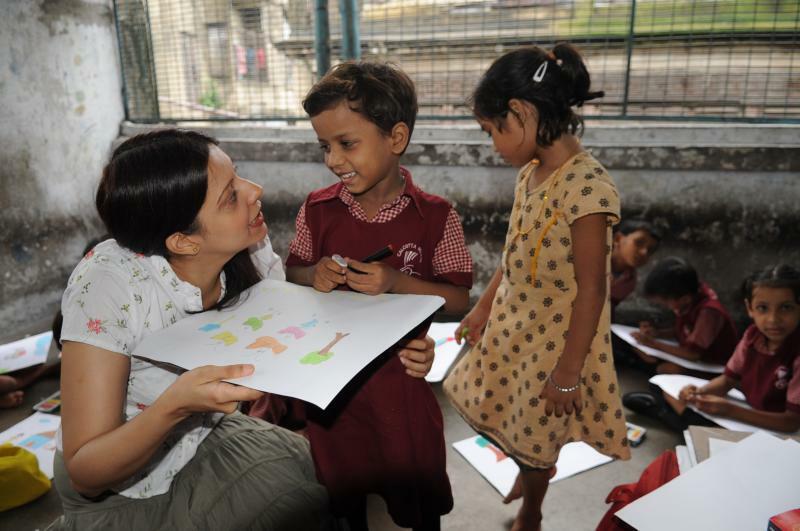 Paint Our World began in a little dilapidated school in Kolkata, India. 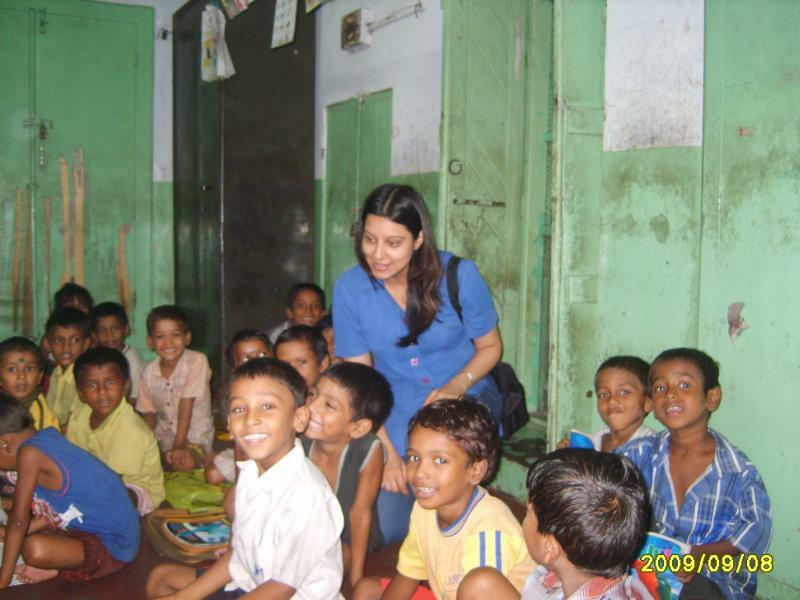 My association with the school and the street children who attend the school began in September 2009. Sonagachi is the notorious red light district of Kolkata. On my first visit I remember being uncomfortable in the area. 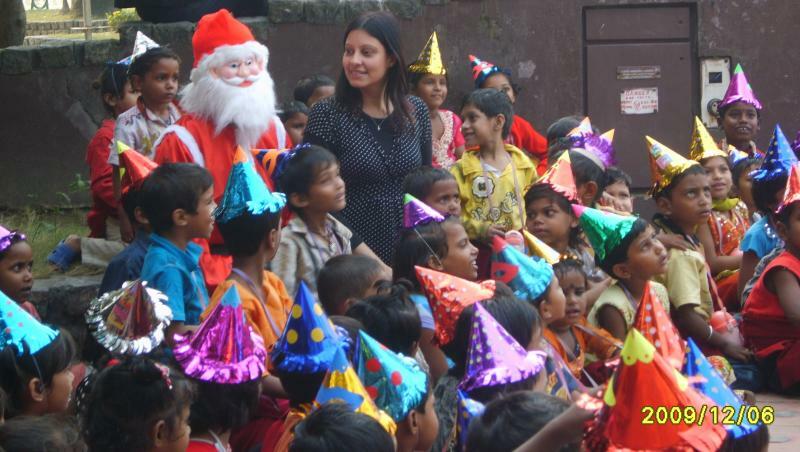 But once I went in to the school and began meeting the children they simply took over. I was completely struck by their sense of joy, wonder and enthusiasm and the surroundings then became completely tangential. In December 2009 I organised a Christmas party for 115 of the youngest school children. The party was in Millennium Park – a sprawling, leafy park on the banks of the Hooghly River. It was a wonderful deviation from their everyday lives and environments. They told me how they had worn their best clothes for the occasion that had been gifted to them by a sponsor during the festive season in India. At the party, the children were just so excited – they loved Santa and were incredulously overjoyed at the tricks of the magician. I managed to teach them Jingle Bells in a couple of minutes, as a song to welcome Santa who was visiting from Lapland! 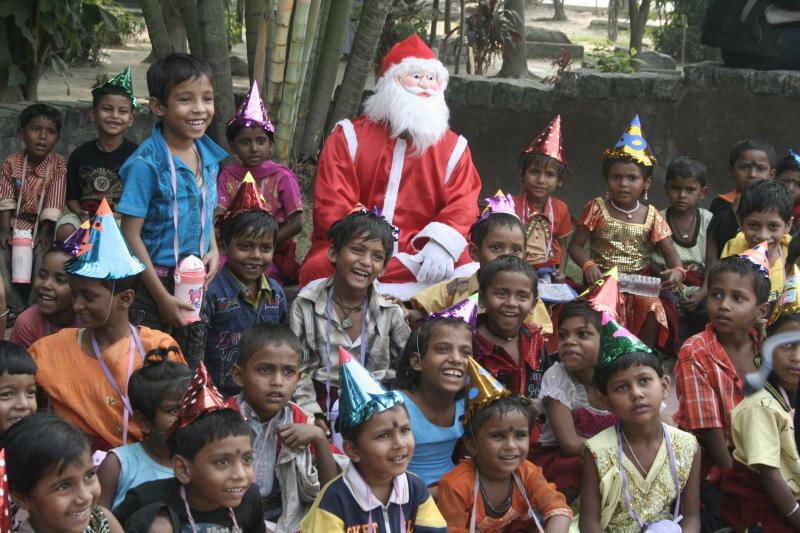 They all seemed so happy and for me seeing the sparkle in their eyes and the smiles on their faces made the day a most beautiful Christmas experience. The party bags I gave them at the party had books and pencils among the other goodies and some of the children immediately took them out and began drawing from the scenes before their eyes. For them it was the first time they were at a park and saw a river, ships, santa, magician which they were joyfully sketching – that’s where the idea of working with the children using art as a tool was born. POW now has teams of young professionals and volunteers working with children in groups of 15-20. We follow a private school model so it is common to find upto a team of 6 POWers (POW team members) working with a group. 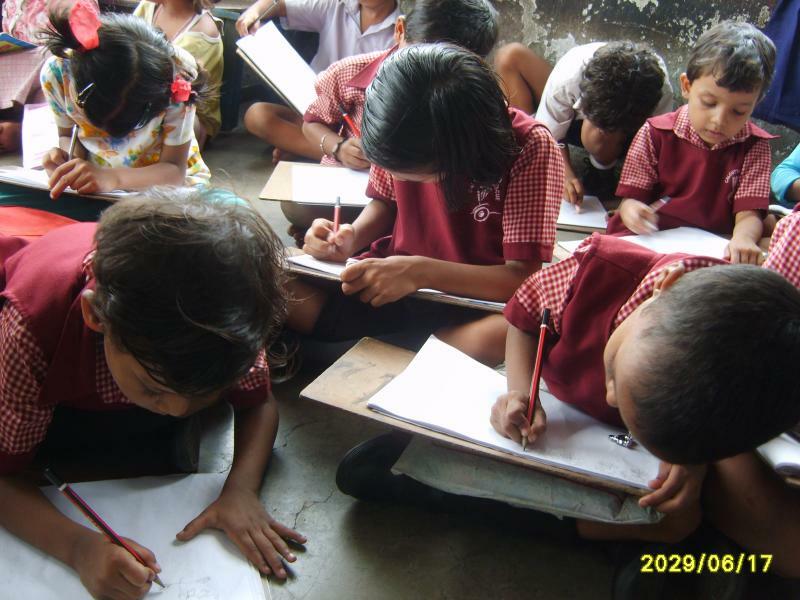 Our aim is to give the children individualised care and attention. The children love the classes, or as they put it ‘they love so much their fun zone’. The ‘class stories’ that both the children and the POWers recount are heart-filling. Every class begins with a surprise game, has a main activity which imparts emotional skills in fun filled and imaginative ways and then ends with ‘sharing’ – where the children share what they learned and how with each other and the POW team. Every few classes we have surprise days. Surprise days could include a magic show, a puppet show, martial arts, sports, origami, a film etc. Today POW has a presence in Delhi and Kolkata and we have worked in Bangalore and Hyderabad. We are also working hard to reach India’s hinterlands and to children aborad. 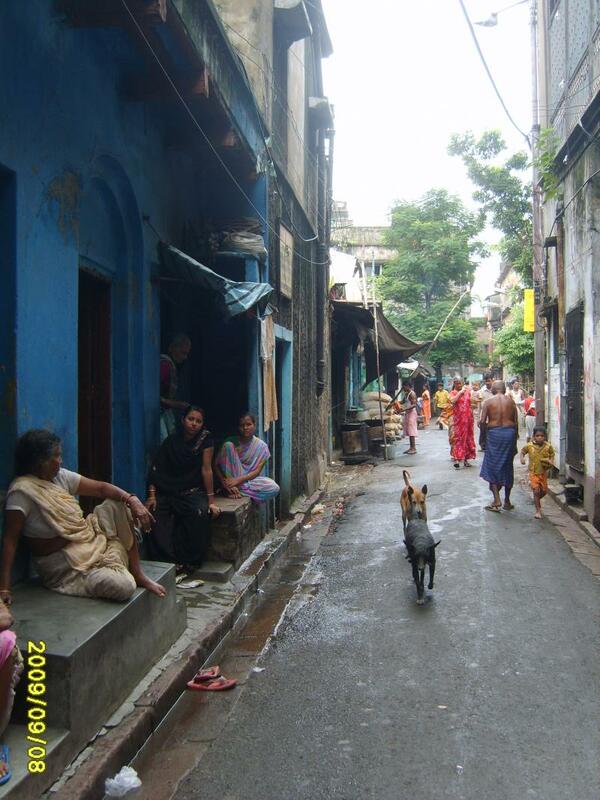 Street on which the school is situated in Sonagachi, Kolkata, India.